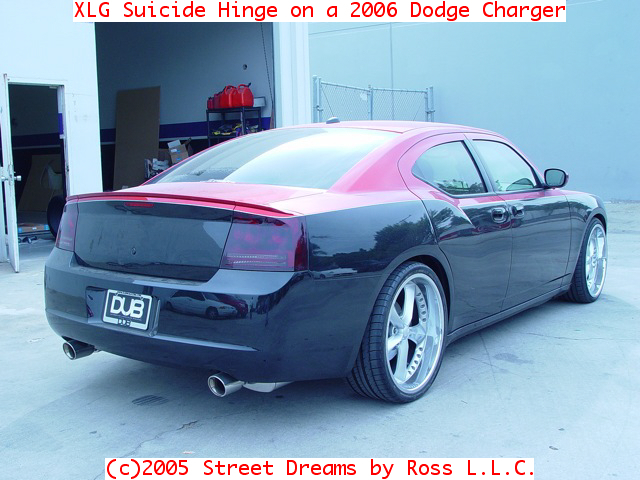 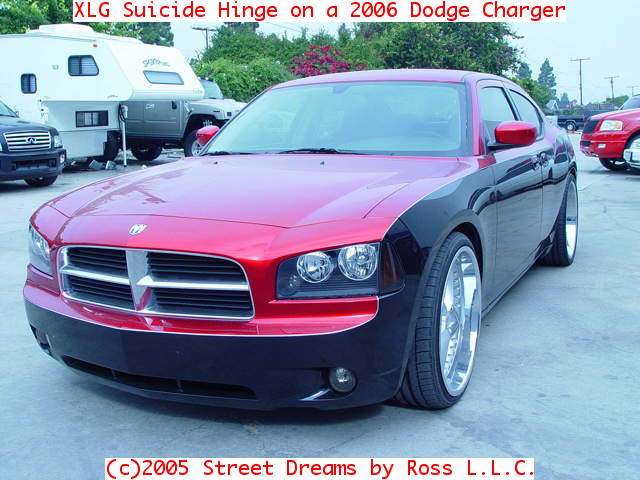 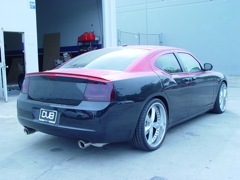 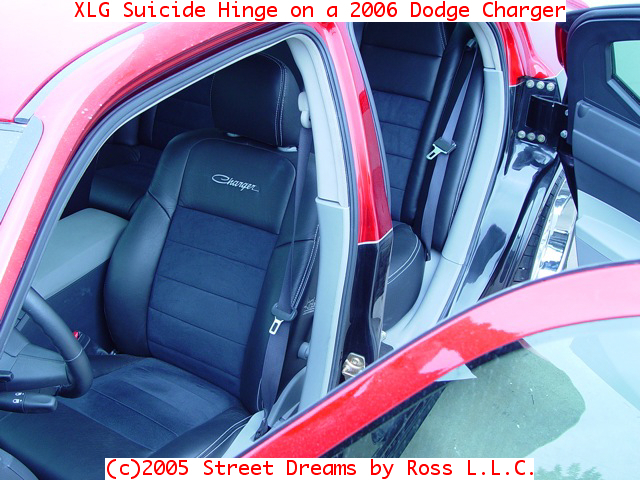 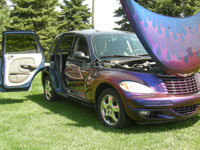 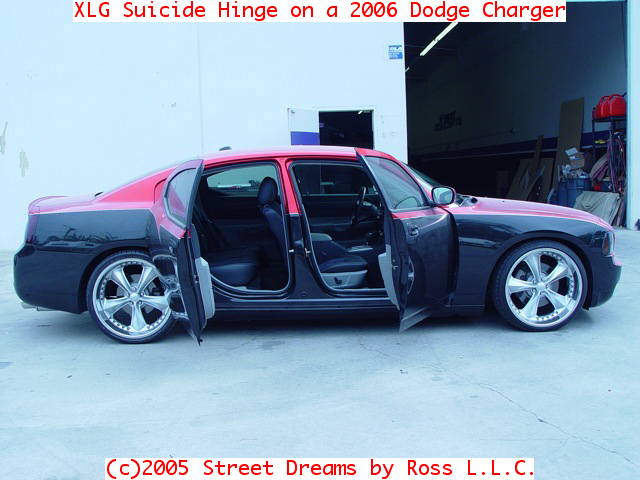 This car was shown at SEMAshow 2005 at Dodge's booth. 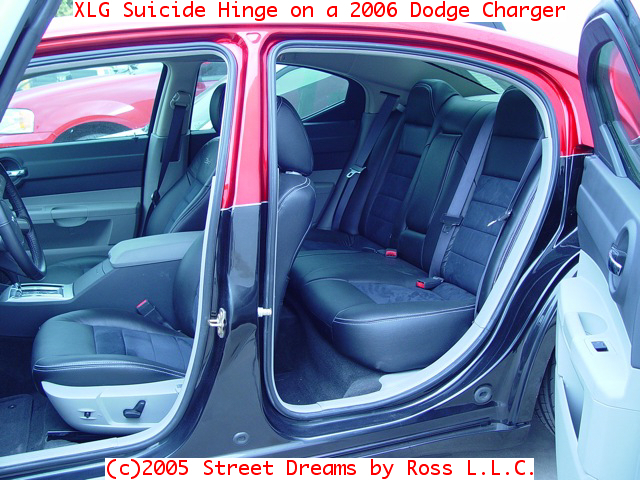 The suicide hinges are our XLG Suicide Hinges. 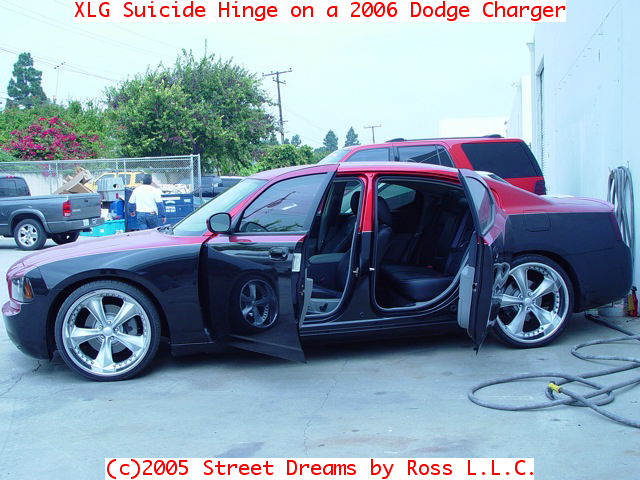 These photos are courtesy of Street Concepts in Palm Springs, California. 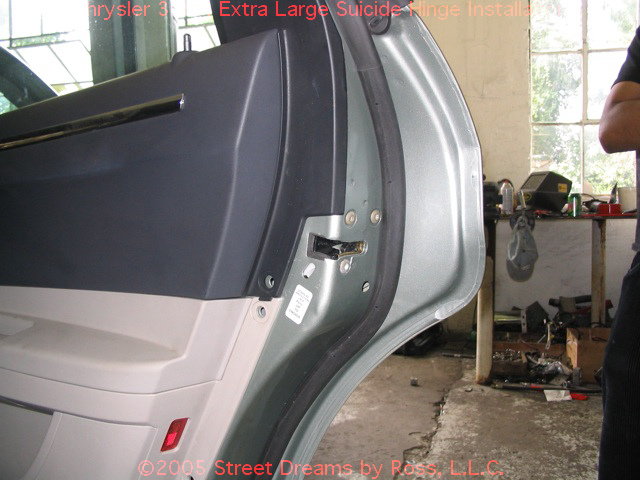 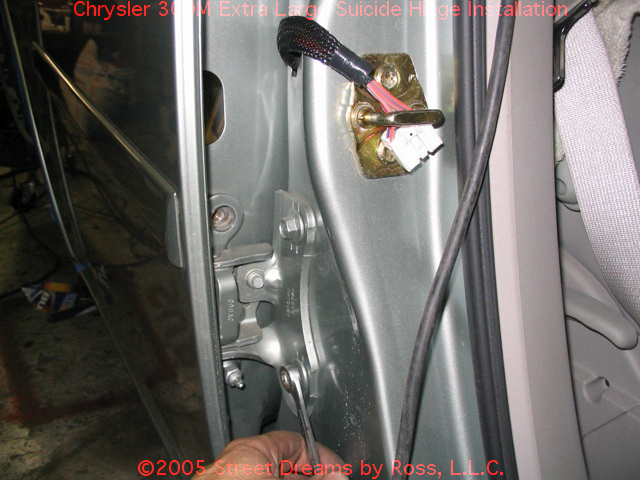 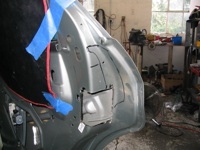 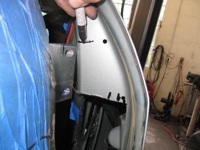 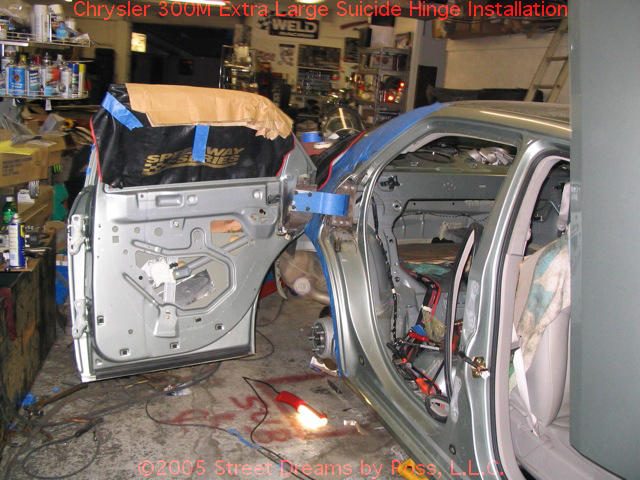 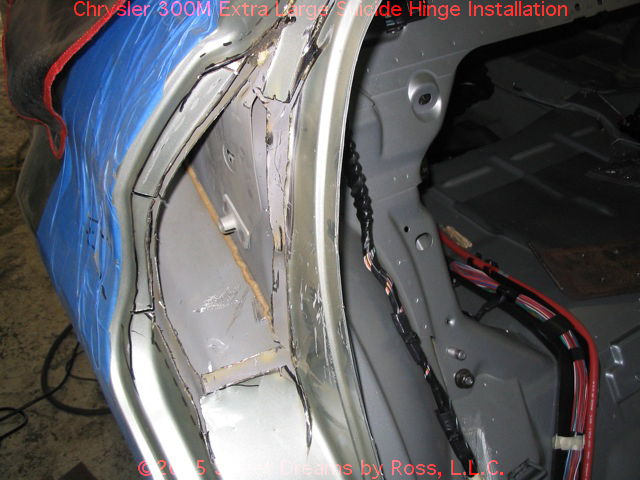 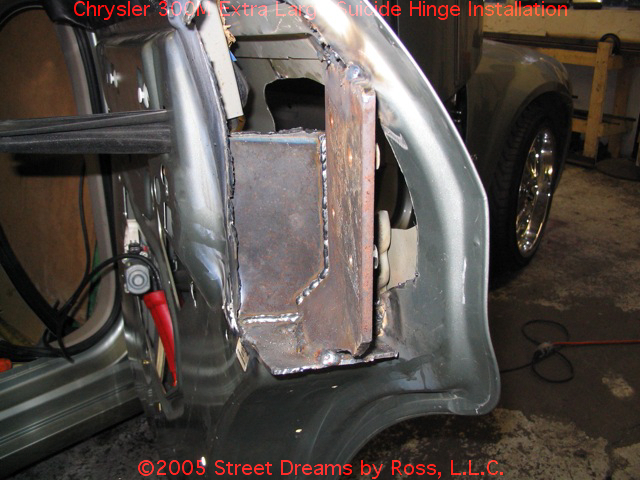 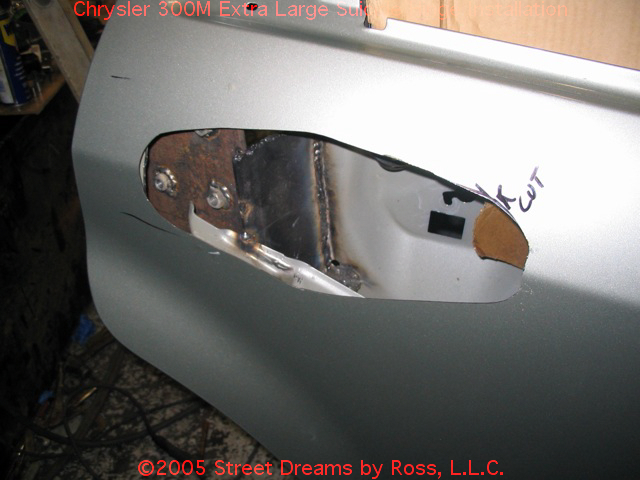 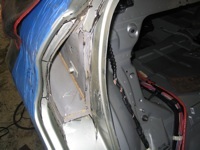 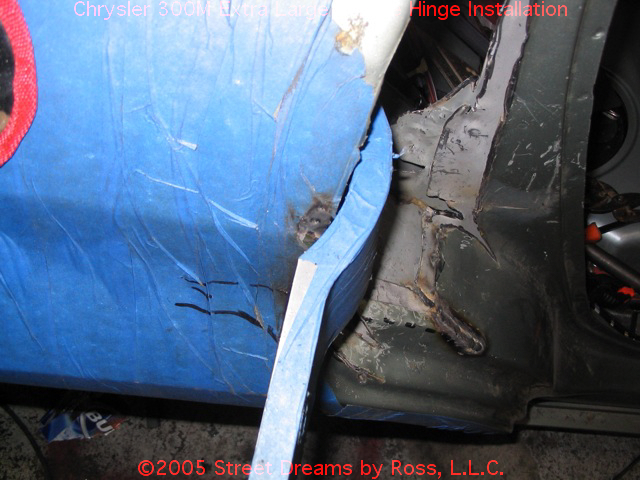 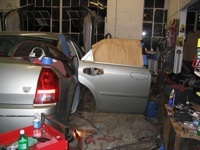 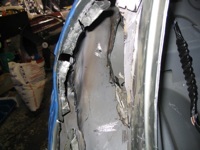 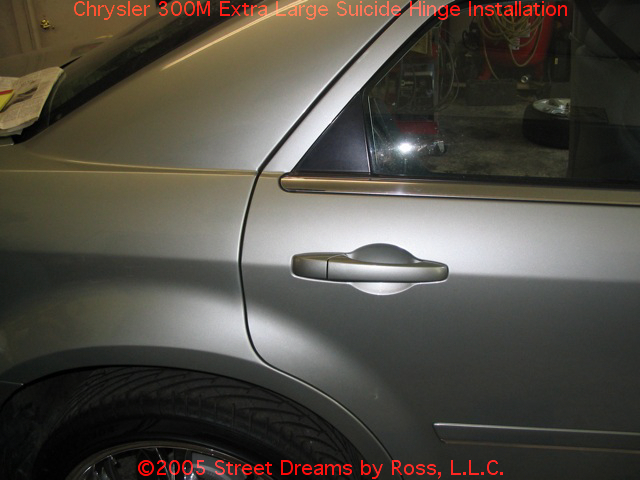 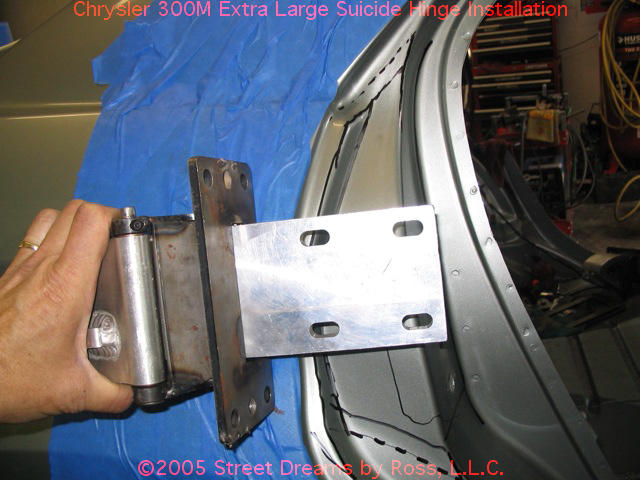 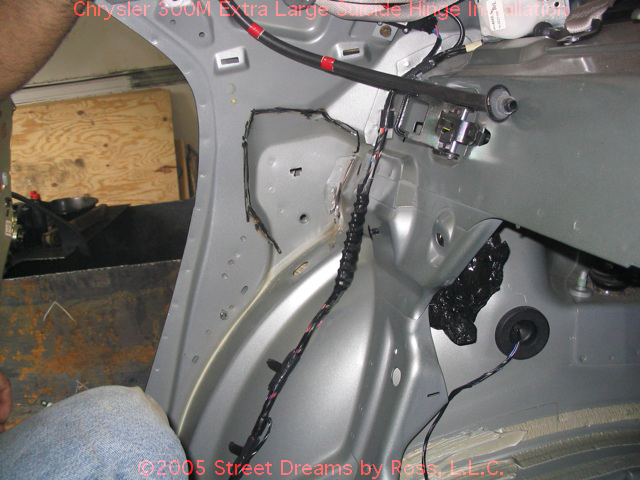 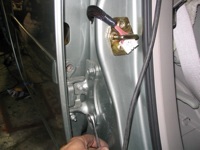 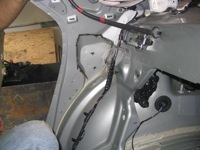 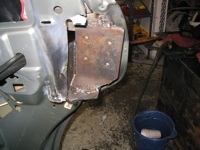 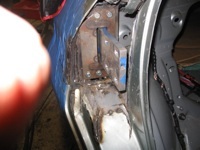 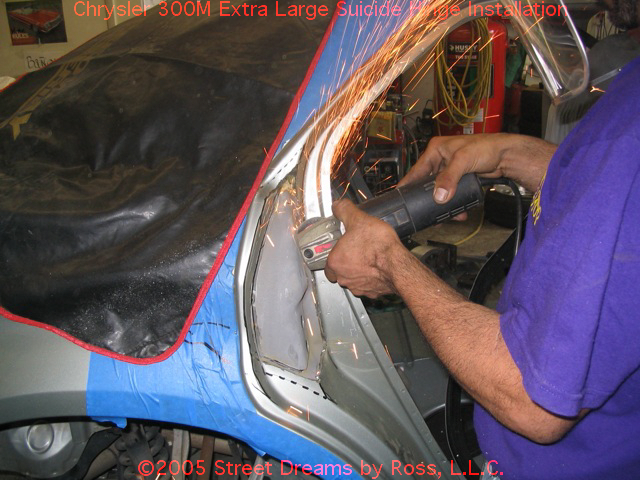 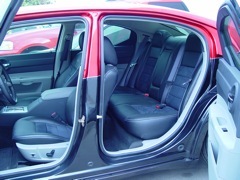 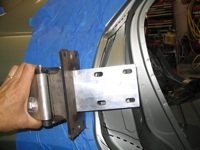 This is a simple walk-through of the process of installing the Extra Large Suicide Hinge on a Chrysler 300 / 300M. 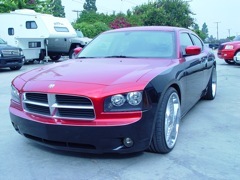 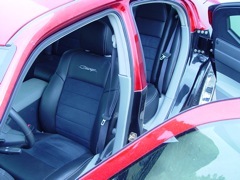 The same process should also work with the new Dodge Charger and Magnum models as well. 10) Another view of the markings 11) Front view of mounted hinge. 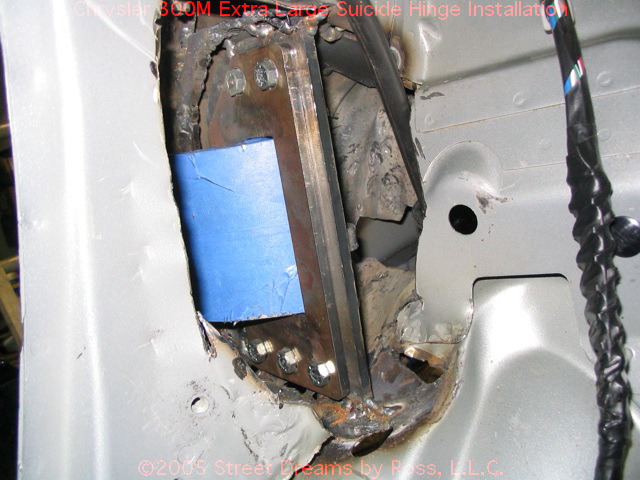 Note that you may need to notch the flange plate. This was found to be necessary on the PT Cruiser and the 300M. 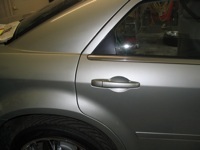 12) Side view of mounted hinge. 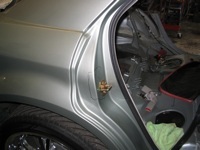 Note that the hinge just clears the fender. Last updated November 8, 2005.